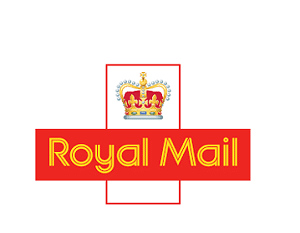 Following the privatisation of Royal Mail Group, there are a lot of changes required as expectations of a FTSE 100 firm hit an organisation accustomed to very different ways of working. The traditional process oriented approach to people management and training is shifting, with more coaching workshops for managers and facilitation skills development for trainers. When the talent team started looking at the onboarding process for first time leaders or supervisors we were asked to help. The process had previously been classroom and knowledge-transfer heavy and managers wanted to see something that built broader capability for the role. We worked across the learning design, talent and ops teams to understand what was needed and consider the best options for delivery. There was a sense that new managers (whether new to RMG or having moved up within the organisation) needed to learn how to learn. It was no good giving people a load of knowledge they might forget, managers needed to learn where to turn when they needed to find certain information. It was also considered important that a learning culture be encouraged, something we strongly agreed with, so we looked at how new managers might build in review meetings with their people. How could managers develop the habit of constantly checking in on what’s working and what could be better? We designed the programme for the team, trained a group of facilitators to roll this out, and supported with the pilot workshops. The feedback we received was really encouraging for an organisation going through so much change. This was exactly what was needed, but how would this new approach be encouraged across levels? And so the work continues to look at a similar programme for other levels of management.